When you make Hytest your safety footwear partner, you do more than protect your workers' feet. You bolster employee morale and job satisfaction. Increase productivity. Reduce lost time and workman's comp payouts. And make the most of a prime opportunity to build goodwill between your company and the workforce that makes it tick. 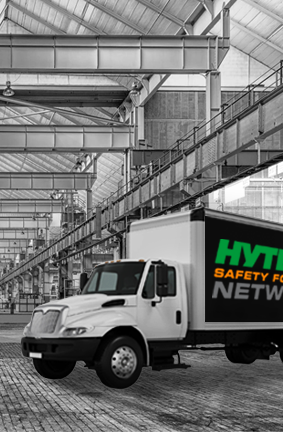 Name any industry that routinely exposes workers to the risk of bodily injury, and there's a good chance HYTEST is already in it up to our ankles, expertly and effectively protecting those workers against harm. We've made this our core mission since HYTEST went into business in 1933. 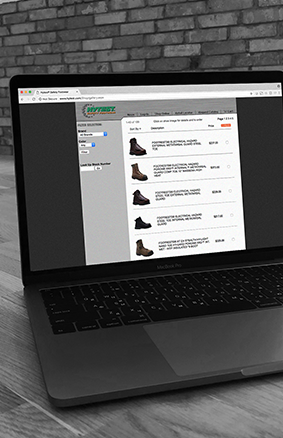 To get the right safety footwear onto your worker's feet as quickly and simply as possible, HYTEST serves you with three primary channels. We can also work with you to develop a customized solution to fit the needs of your workplace. An on-site service brought directly to your location with professional measuring, sizing and fitting of each employee by a Personal Protective Equipment (PPE) Specialist. Each Shoemobile is stocked with footwear with safety features approved for your specific work environments. 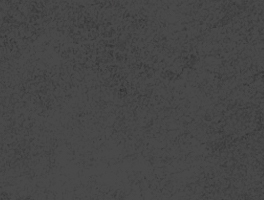 A custom online service for ordering and delivering safety footwear to your employees. We make it easy with one invoice from one company, and the footwear is delivered directly to your location. We monitor your employee purchases to ensure a seamless process. 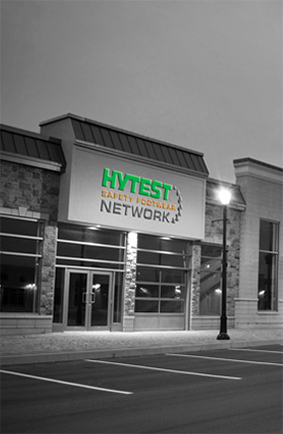 HYTEST has brick and mortar locations coast-to-coast. These retail stores are staffed by PPE Specialists who will ensure your employees receive styles that meet the specifications of your program. PPE Certified Consultants with OSHA PPE Compliance training stated in 1910.132 (F) (1) to service your account. 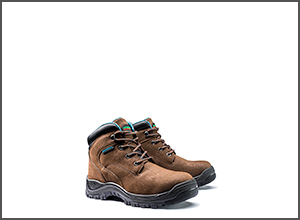 Hazard assessment to identify the correct footwear with the safety features you specify for each workplace environment. Measuring, sizing and fitting of an individual’s left and right foot. 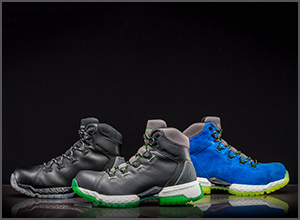 Test the footwear selected by mimicking movements performed on the job to ensure comfort. Associate training on proper use and care of their safety footwear to ensure they perform to their full potential. Access to top nationally recognized brands you trust. Take a Step in the Right Direction. Contact Us. Complete this contact form and a National Account Manager in your territory will reach out to make an introduction, answer any questions and begin your customized safety footwear program.